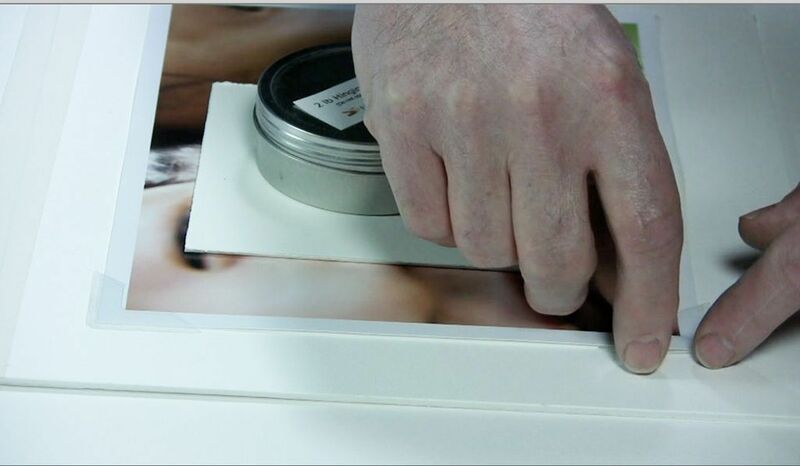 Archival mounting corners and mounting strips are used to securely hold photos and artwork to the backing board under window mats without using any adhesive on the artwork. The corners are made of 100% crystal clear safe polypropylene and do not contain harmful PVC. Polypropylene is softer than polyester and is more pliable making it safer to use. 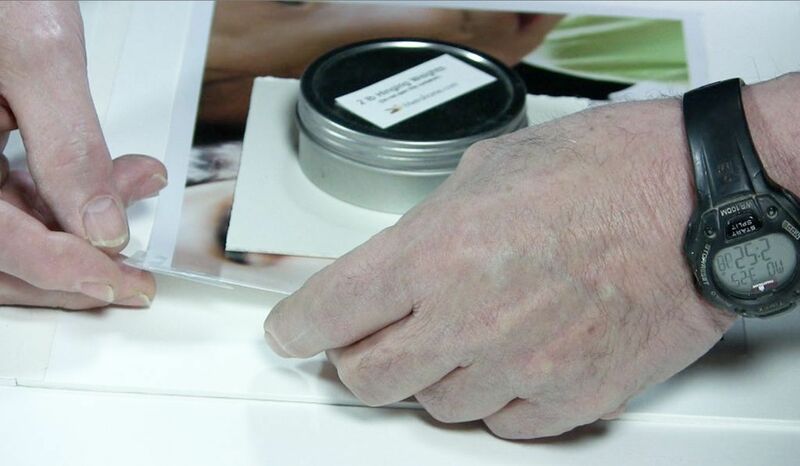 The pressure sensitive, non-yellowing acrylic adhesive to hold the corners in place is acid-free and does not come in contact with the artwork. Assemble materials and supplies i.e. the mat that has been previously attached to the backing board, the mounting corners, a weight and a barrier to separate the weight from the artwork, and the artwork. 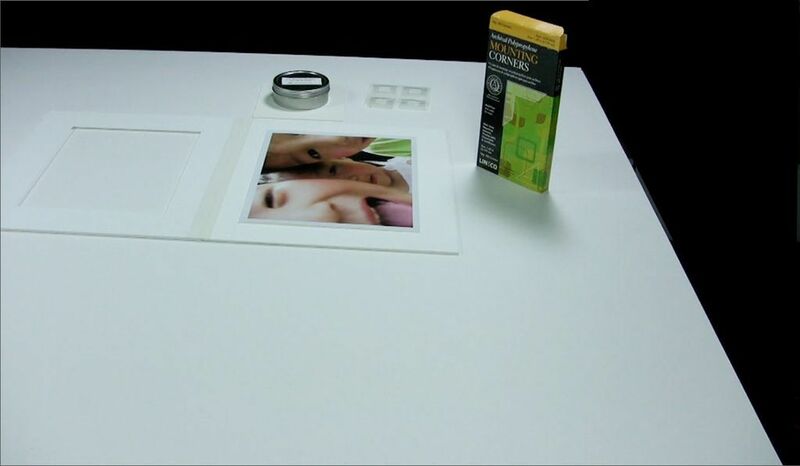 Place the artwork on the backing board and approximately center it on the backing board. Gloves (not shown) should be used on very fragile works on paper or photographs to protect the surface of the artwork. Lift the mat over the artwork and adjust it with your hands until it is perfectly centered under the mat..
Now raise the mat and place a barrier on the mat and weight it down. 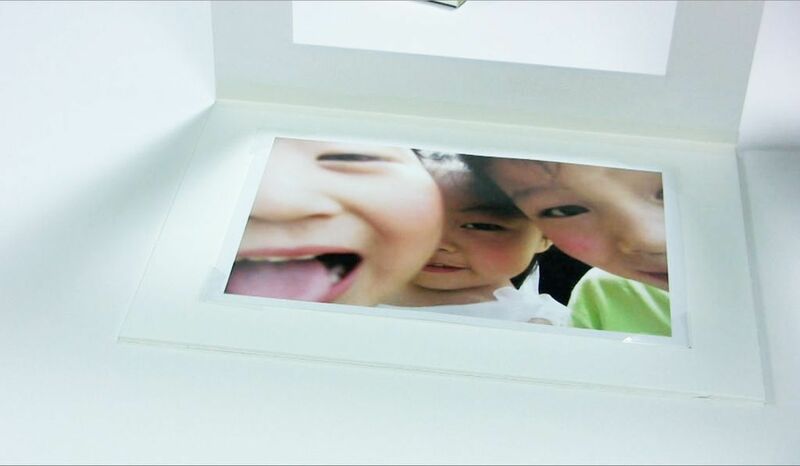 This will ensure it doesn’t move when you put on the mounting corners..
Take the mounting corners out of the box and peel them off the paper so you can place them on the corner of the photograph.. Lift the corner of the artwork and place the mounting corner on it. Then use your hand or the burnishing bone to adhere it to the backing board. Continue placing the mounting corners on all four sides and burnish them down on the backing board. When the mounting corners are adhered remove the weight and the barrier paper/matboard. This is what the mounting corners look like when you are done. You are now ready to frame your artwork.